A few weeks ago we announced that South Africa now has granted free access to Google Data Studio which was greeted with some fun far from local digital marketers and data analysts alike. 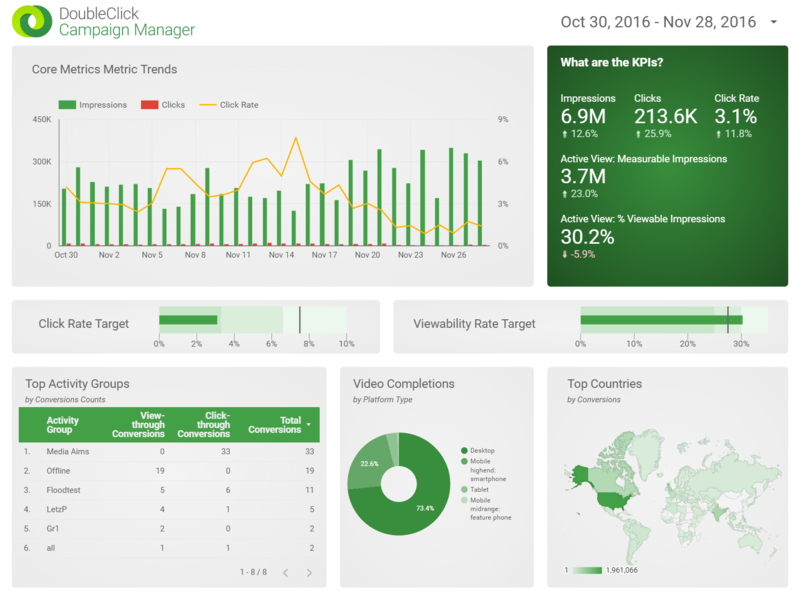 We received many queries regarding how to use the newly publicly opened platform and one of the most popular questions was how to link DoubleClick Campaign Manager data to Data Studio. Which is what I'll be taking you through today. Check out our article Google Data Studio Available In South Africa For FREE! to find out more about Data Studio and all it has to offer. Funny enough the integration option has been available for some time, since 30 November 2016. Prior to that and if you still feel comfortable with the manual way of doing things you can still extract reports from DCM into spreadsheets and upload them directly into data studios. However, you will have to do this each time you want a data update. 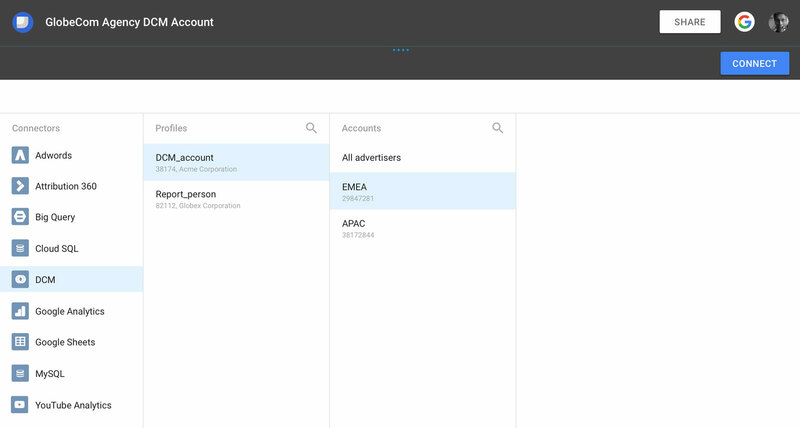 A better way would be using the DoubleClick Campaign Manager connector (DCM) customers can pull their data into Data Studio dashboards. This will then allow you to use Google Data Studio feed in data, transform, visualise, and share data no matter where it lives, instantly! And you are now done. Congratulations you successfully created a link between DCM and data studios. Next, you can create a new report from scratch or use our DCM template. With just a few clicks, the dashboard is populated with your data. Once you've created a successful link between the accounts as a Data Studio user you can now quickly create dashboards with over 50 DCM metrics and dimensions. These way you can create dashboards that are an effective way to track and optimise campaign performance and share reports with client and agency stakeholders of different levels with different data requirements.